Important Features Include: High Power Final Transistor - The SR-497 uses a single high power flange mounted transistor that provides the user with 90+ watts PEP. If you want be heard, the SR-447 has the power required to do some serious talking. Multi Colored Display with new designed meter. 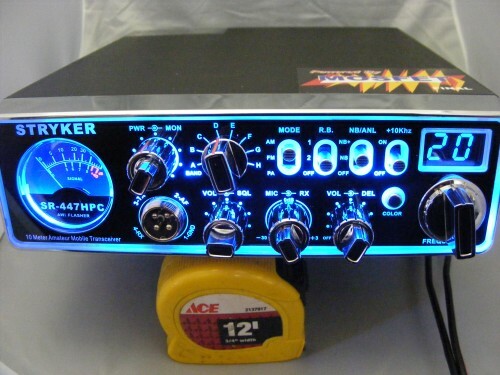 Change the color of the radio with the NEW multi color 497 radio. (This is cool) Digital Echo with/ Dual Front Mounted Controls - Provides the operator a much wider range of effects and control than typical factory or aftermarket echo boards. Our board is able to reproduce the human voice with virtually no distortion providing maximum clarity and enjoyment.